The cheapest flights from Dubai to Paris (France) can be found by making use of the flight comparison tool to the left of the page as well as the lists of airlines with their respective links to the online booking forms. Air France and Emirates are the only carriers offering a direct flight to Paris. An indirect, 1-stop service is available from British Airways, Qatar Airways, Austrian Airlines, EgyptAir, KLM (Royal Dutch Airlines), Lufthansa, Royal Jordanian, Swiss Airlines, Turkish Airlines and Virign Atlantic . The shortest distance between Dubai and Paris is some 5,236km. Ryan first flew Emirates from Johannesburg to Dubai, before travelling from Dubai to Paris. On the stopover at Dubai International Airport, the shops were crowded at 05h30am. 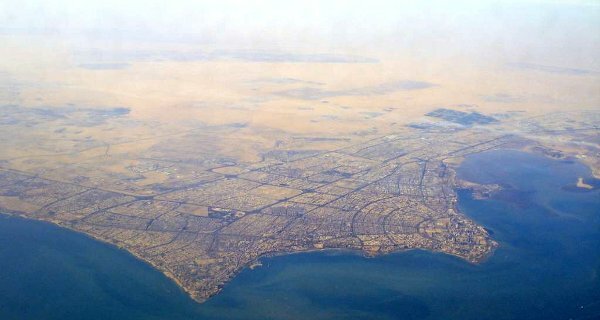 Look at this clear view they got of Kuwait on the way to Paris. 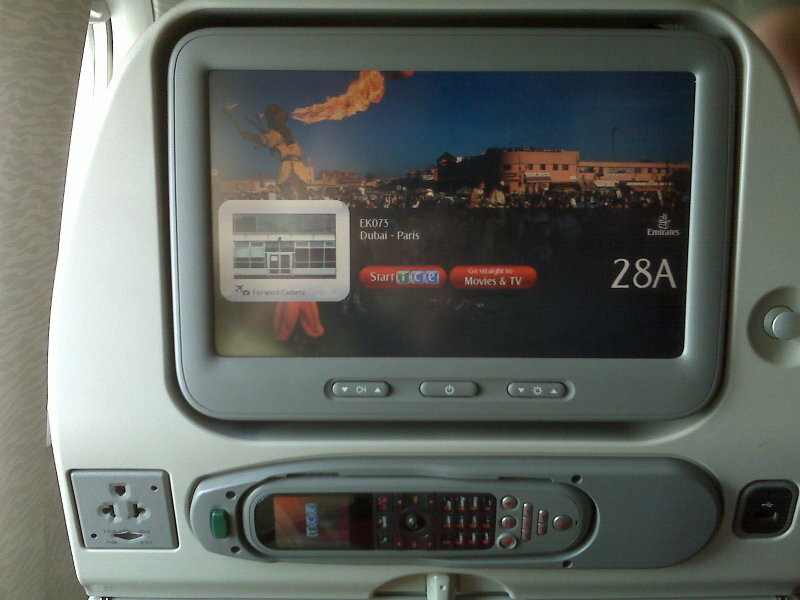 Minter flew from Nairobi to Dubai to Paris in Emirates economy class, describing both legs of the flight as being "a pleasure". At Dubai International Airport, he visited the Dubai Airport medical centre to help his son Oscar, who had a nose bleed. A nurse from Kerala (India) and a doctor from Senegal took care of Oscar. Rhona & Tim caught flight from Melbourne to Paris via Dubai. Other than the chap in front of them who had his seat back the entire flight (except meals, takeoff and landing), they had a pleasant flight. Here's a photo they took of the mountain on the Dubai to Paris leg of the trip. In Paris they stayed at Eurodisney's Dream Castle hotel, where they enjoyed its King Arthur theme. It is 2 to 3 hours earlier in Paris (France) than in Dubai (United Arab Emirates). We suggest setting your watch to Paris's time as soon as you board your flight (the earlier you begin acclimatizing to the new time zone the better). Rainfall in Paris does not vary much over the year, however it is significantly warmer in summer.